On 14th June I participated in a talk at the VRHAM! 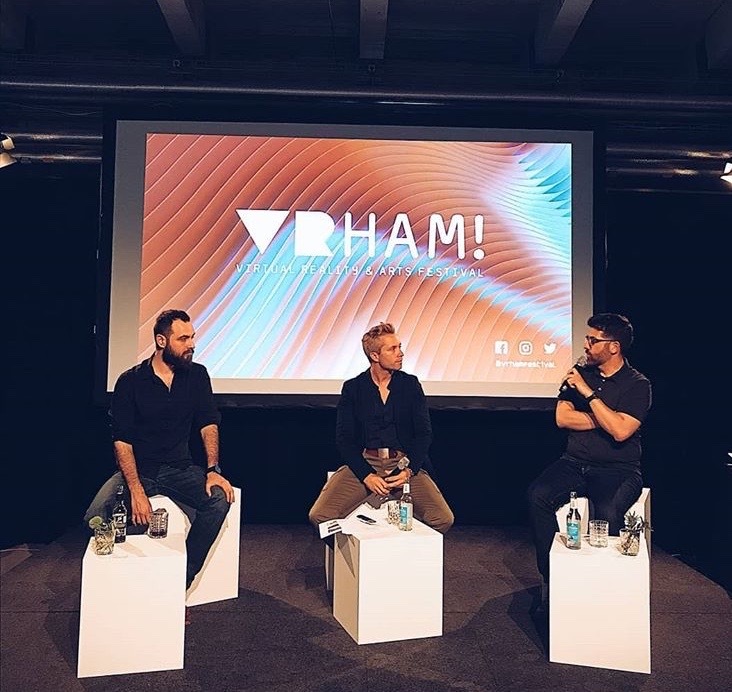 Virtual Reality and Arts Festival with artist Vladimir Ilic (VRHUMAN) and the artistic director of the festival, Ulrich Schrauth, on the subject of VR and contemporary art. 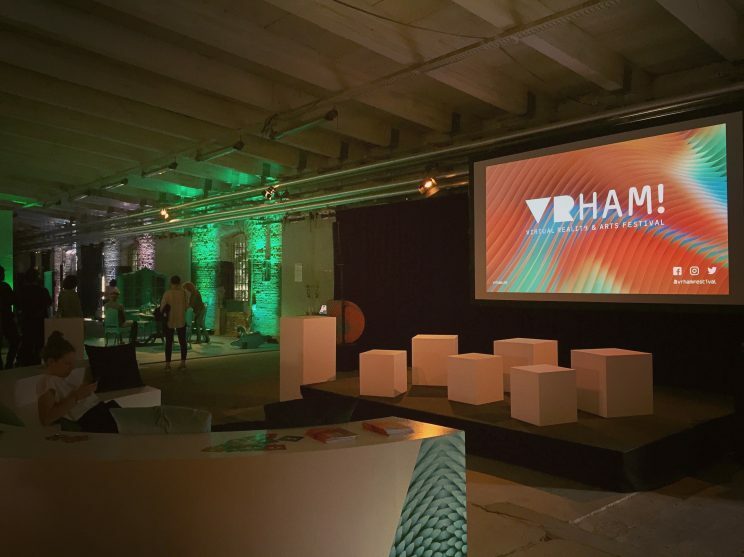 In its first edition, the festival has already gathered an impressive lineup of talks with professionals from different contexts in the cultural scene and shown more than 20 artworks, including both virtual reality environments and 360-degree videos. 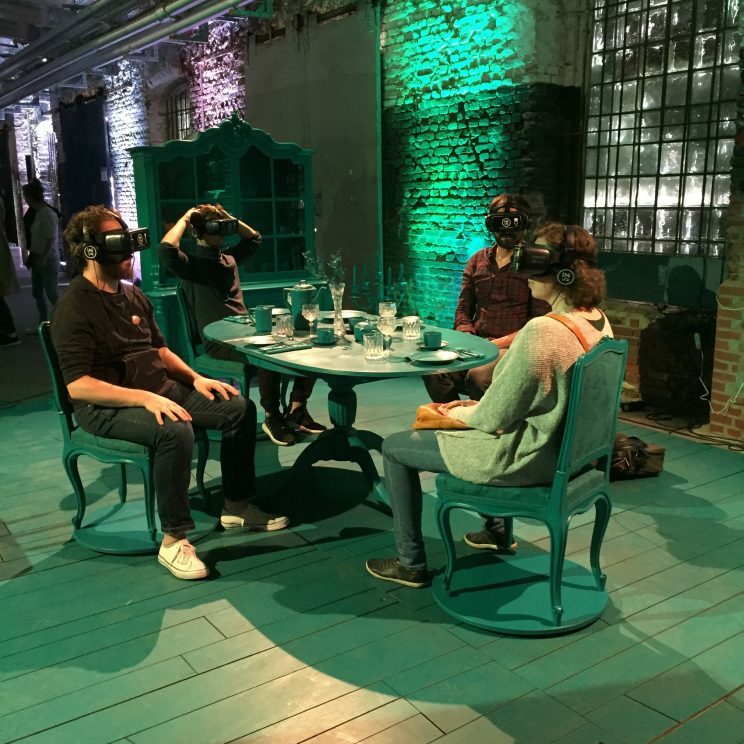 In this talk, we addressed the ways in the VR technology relates to contemporary art, briefly talking about the long history of immersive environments leading to virtual reality and the current boom in consumer devices. We also talked about how a VR artwork is created and in which manner the different tools available may shape the creations of an artist by imposing certain styles, brushes or forms of building a 3D object, character or environment. Finally, we also discussed about the different forms that VR is taking, be it as immersive documentaries, narrative and interactive artworks or experiences, how it becomes an “empathy machine” and also which challenges it presents in terms of curating and displaying in an exhibition.